commentary on global culture, development, technology, media, and justice. Citizen election reporting in Kenya: A failure of technology duplication, or a breakthrough in online-offline collaboration? This post also appears on the GroundTruth Initiative blog. In March, GroundTruth went to Kerala, India at the invitation of The Blue Yonder, a “responsible tourism” outfit operating throughout India and based in Bangalore. Not knowing quite what to expect, we nonetheless jumped at the chance to work on a project about crowdsourcing the cultural history of the Nila River. Nila is one of the destinations that Blue Yonder knows best. 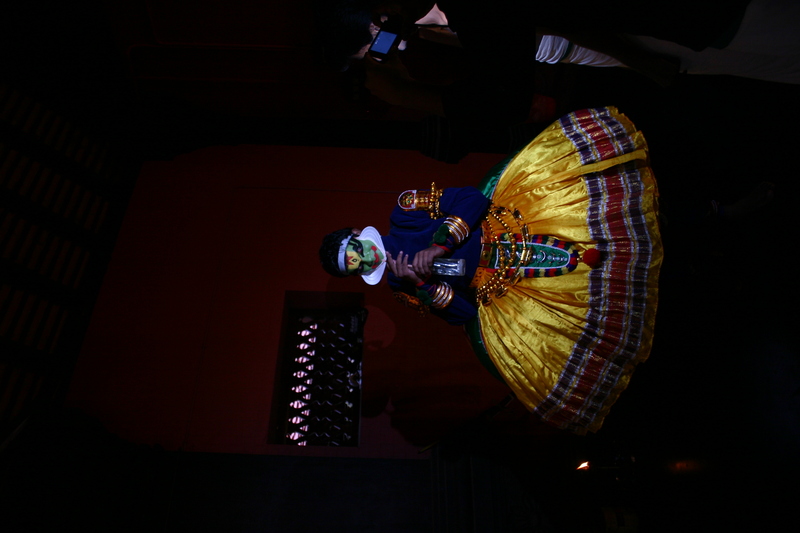 Its founder, Gopinath Parayil, is a native of the area, which is in the northern part of Kerala state. Prakash Manhapra, another TBY staff, is a lifelong resident of Tirur, a city near Nila, and has absolutely encyclopedic knowledge of the region. Better yet, he has the curiosity of a journalist and an instinct for drawing out a fascinating tale from just about any bystander we came across. Our task was to take a look at the wealth of cultural activity and history in the Nila basin, much of it very place-specific, and devise a methodology and training for turning this into an engaging multi-input platform for showing off the local riches. This all with a view toward drawing out elements for the tourist to seek out and enjoy, giving locals a chance to celebrate their heritage, while providing a means for preserving not only some of the more fragile customs and artistry but also the very river itself. Besieged by a long-running sand excavation, the “sand mafia” controls an often illegal but overlooked sand mining operation which is quickly destroying the ecosystem of the river linking the fascinating human settlements together over millennia. The hope of Blue Yonder was that the platform would help fight the environmental battle underway by reminding people how interlinked their lives were to this river. We took a welcome opportunity to use some of the same tools we’ve developed for slum residents to report on basic services and needs, Palestinian activists to share their efforts to retain their land, and Nigerians to share crime and security reports, to the more cheerful topic of highlighting a rich cultural heritage. And Nila has plenty of positive to share, as we discovered. We visited artisans making bell-metal puja sets, handweaving cloth, and throwing clay into cups and bowls in ways that reflected centuries-old traditions. 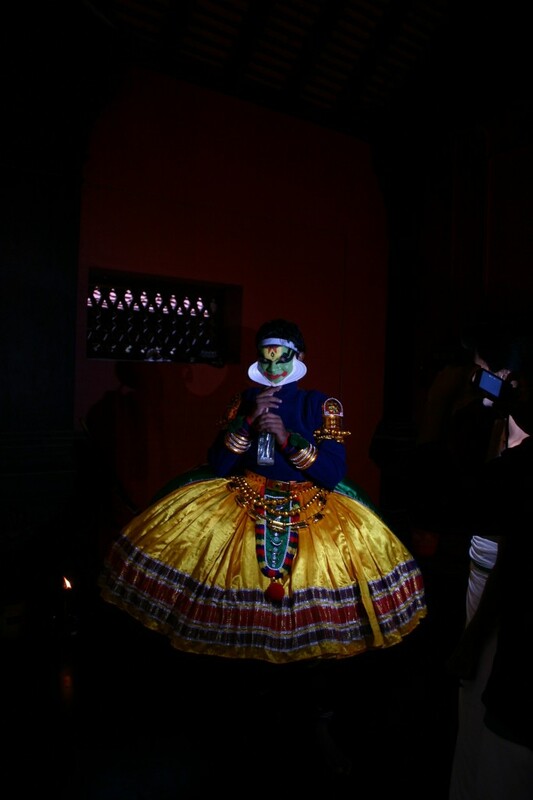 We visited ayurvedic doctors, martial arts practitioners, traditional dance and Kathakali theater, even an all-night shadow puppet performance that is enacted for many nights in a row with or without audience, to please a watching goddess. 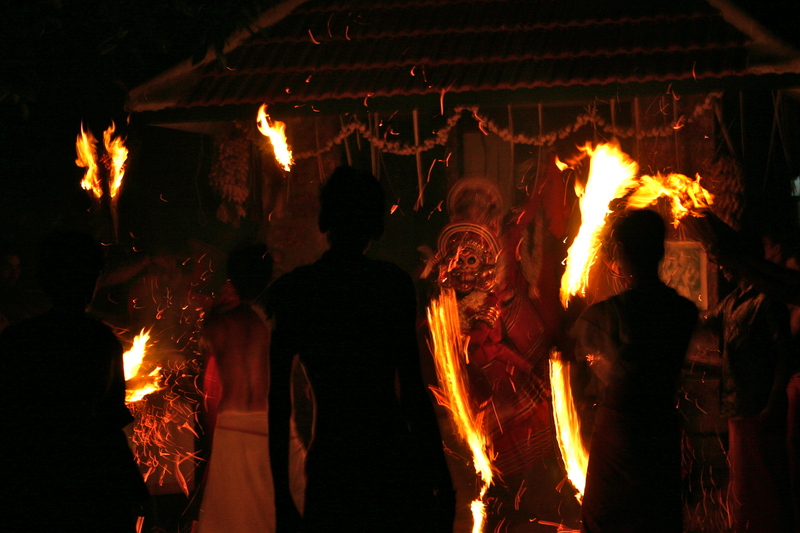 There was the unplanned too – we happened upon a tiny village festival featuring frightening fire-theatrics and elaborately made-up ritual performers channeling the snake deity. At another nighttime temple festival a band of drummers played relentlessly and ecstatically for hours until they stopped all together on a dime, leaving a haunting ring in the air for several seconds. I also got to see elephants. Though some looked a bit sad. Mesmerized as we were, we got down to business. Developing a system for recording some of these events would not be the challenge; even collecting media might be easy given that everywhere we went we saw cellphone photography and video in process. Kerala is not particularly poor; the historically communist-run state is proud of local development and a small fortune has been sent back from migrants overseas in the Gulf. Building a way for locals to interact would require, yes, a mapping of the area as well as a variety of ways to report through media and aggregate. 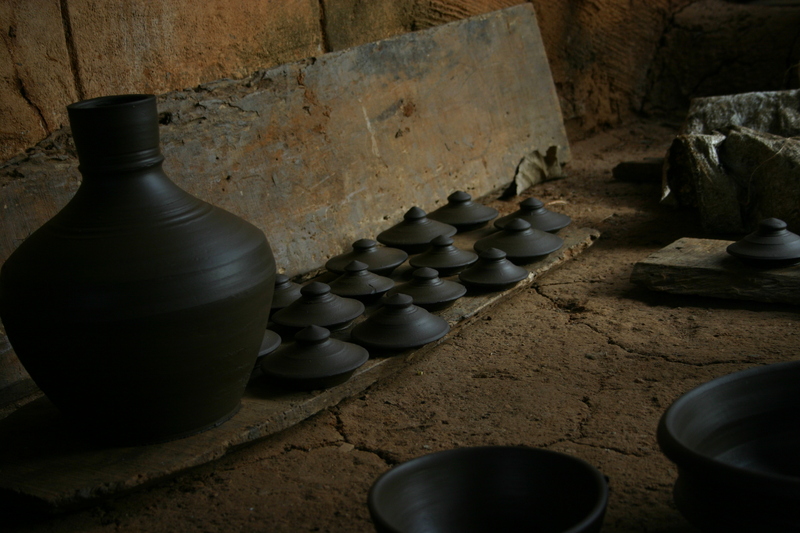 We also wanted to involve the artisans somehow, so that they would receive more business, and integrate a social interface for recent visitors and tourists to submit media and interact with locals. Of course, the primary language in the area is Malayalam, complete with its own swirly script. Interaction with the site would have to be possible through Malayalam-enabled keyboards, Romanized inputs typically used with mobile phones, and English. As usual, the wild card would be the community-level participants – who exactly would be energized to report, on what, and who would sustain the enthusiasm? Options included working with a fantastic local group Vayali, already dedicated to exhaustive cataloging of local culture for academic and other purposes, as well as a widespread project of youth engaged in a volunteer palliative care movement. These youth had the civic engagement spirit along with local knowledge. We could also access a mass-media outreach campaign to engage more contributors. Integration with social networking online was also important. This project sparked a long-dormant passion of mine to preserve and protect traditional social and cultural practices which I believe are in similar (and related) peril to the ecosystems that are being systematically destroyed. There is an interrelation between the attention that one can focus on a cultural feature, and its survival in the face of immense economic and social pressure to conform to the dominant or “modern” culture. 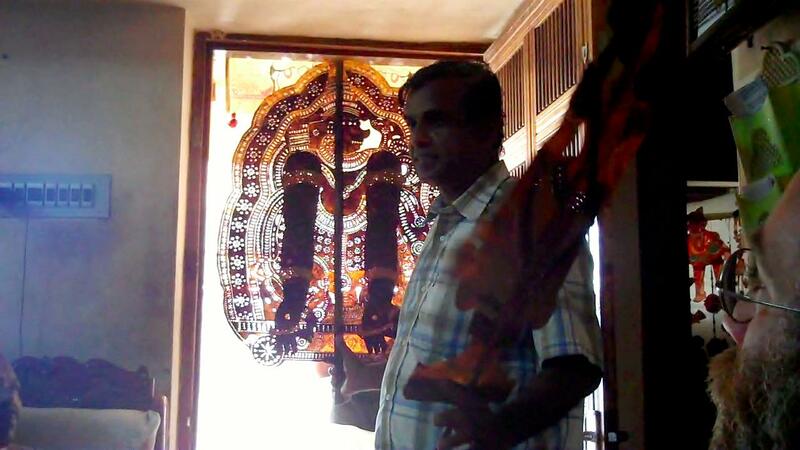 Gopi showed us traditional Keralan architecture, which is being replaced, like everywhere, by cement block ugliness. I sometimes think of how the houses in my hometown were remodeled in the 1950’s to reflect the day’s mores, eliminating all the wood trim and tin ceilings. It’s only now that homeowners are trying to reconstruct what was damaged back then, which is never as good as the original. Gopi has convinced – sometimes by actually offering payment – some owners not to destroy but to preserve the traditional houses, by insisting that tourists would pay handsomely to stay in these beautiful lodgings. Running a tour company, he has some authority to make this claim. Examples of expensive “traditional” lodging abound, usually only as imitations. (Here’s a cool example of architectural preservation and tourism in Kathmandu). Sometimes, locals do not realize that what they have always had – traditional architecture, artisanry and crafts, medicine and religious festivals – can be extremely valuable to the visitor as well. Of course, there is the danger that such practices will become museum-pieces for benefit of tourists alone. That is something we experienced in Kenya, where safari tours visiting colonial-style lodges will be presented with a song-and-dance performance abandoned by the actual representative tribe years ago. The effect was, for me, disturbingly patronizing. There’s nothing quite like seeing Kenyans dressed proudly in their costume on property once part of their spiritual homeland, in front of white haired foreigners supping on mashed potatoes and corned beef, in a lodge built by British colonials. But I digress. 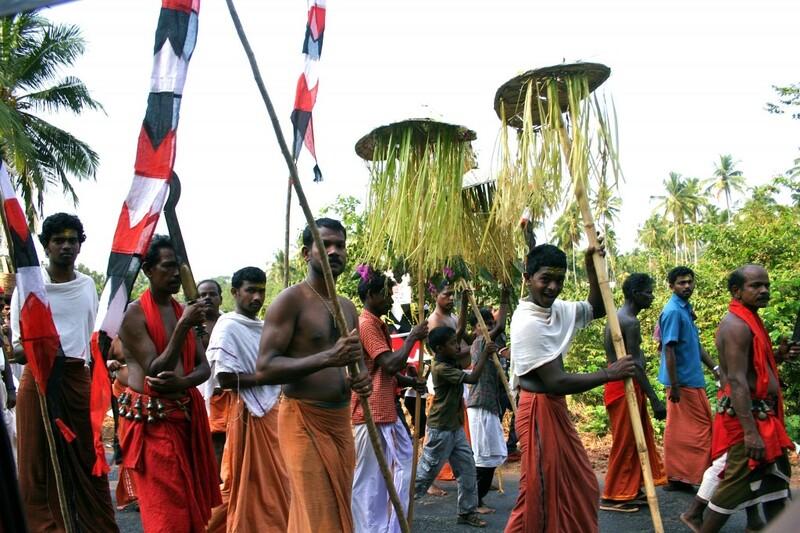 The amazing thing about Kerala (and other parts of India) was that in no way was any of what we saw put on for our benefit, and yet, a visitor could still inspire pride and represent a financial incentive to support certain elements of culture. With our system, we hope to expand that experience to reporting oral history, heritage, cuisine, and other aspects of the river culture that make the place all that much richer. For example, there are archaeological remnants of an old trading route that tied into coastal shipping routes, pit-stops called Athaani that traders used to use for rest and refreshment, which we hope to map and annotate with interviews along the way. Only it won’t be us – as usual, only the community members will contribute, no outsiders, no researchers, no foreigners or even local city-folk. That kind of process, I hope, will lead to local ownership not only of this technology but also of the Nila itself.